This work is for 5th to 8th graders. Malia is a little girl who is determined to plant a garden and nurture it to fruition. Others doubt she will be successful. Several of her friends just cannot understand her fascination with dirt and bugs and all that is a part of gardening. 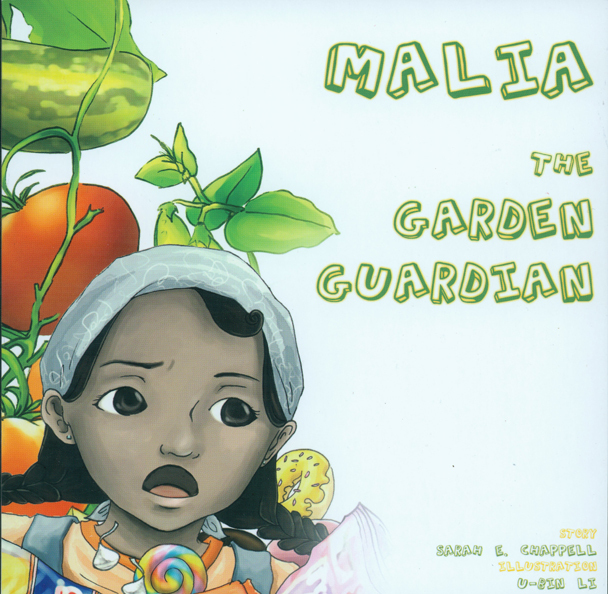 Still, this does not deter Malia from her task of growing a bountiful vegetable garden in the front of her home for all to see. 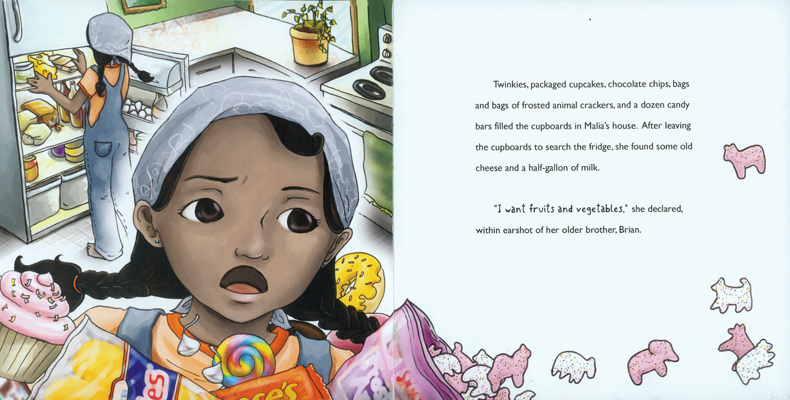 This work is about more than a little girl and her efforts to develop a vegetable garden. This work teaches an important lesson for all children (even for adults, too): once one has determined to do something worthwhile, even if it is not what others are doing, he or she should never “give up.” The rewards go beyond the task. 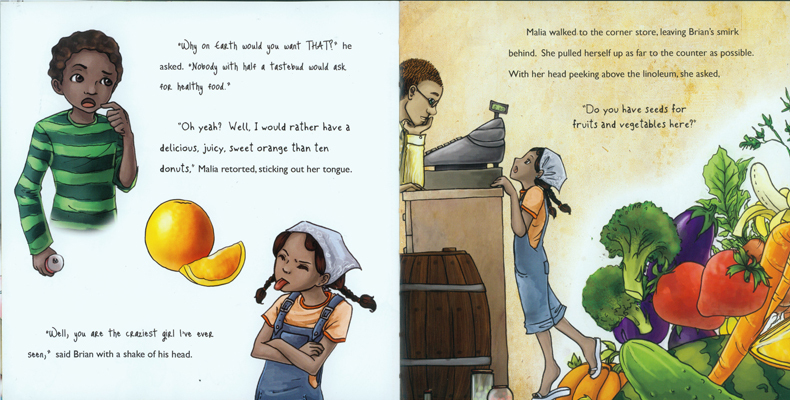 This beautifully-illustrated book should serve as a wonderful addition to any child’s personal library or a school library’s book collection. WE READ is a non-profit student organization on the University of Michigan—Ann Arbor Campus. WE READ is committed to getting urban elementary students excited about reading. How? 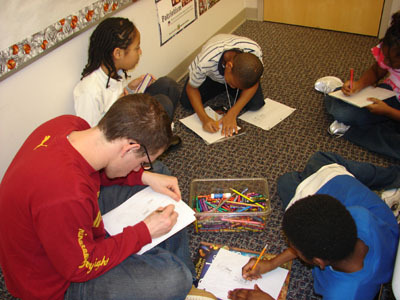 Throughout the school year, WE READ members provide writing and illustration workshops for youngsters attending some of the elementary schools in Detroit, MI. 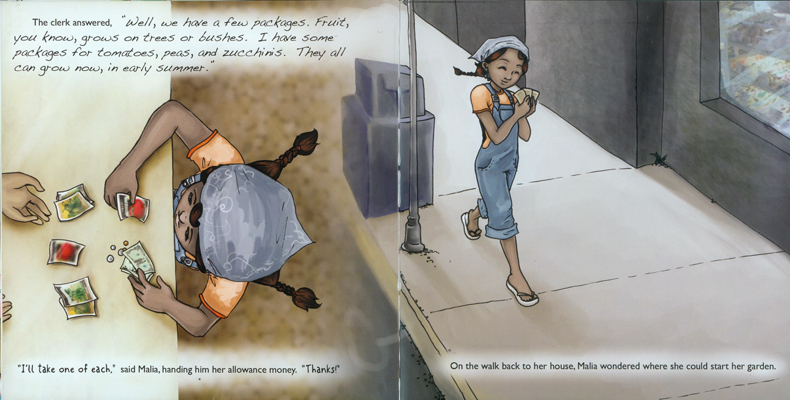 They help these students write their own books so that they can tell their own stories. At the end of the school year, WE READ gives every student a gratis copy of the book chosen by the WE READ board to be published by MANA. 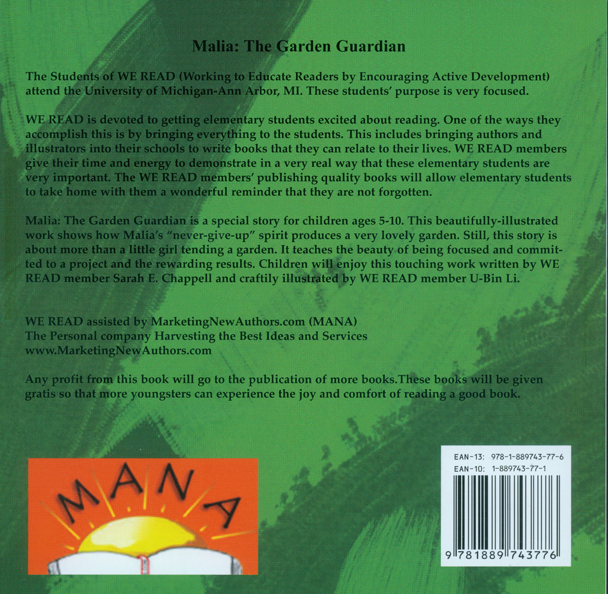 For 2010, the students will receive MALIA: THE GARDEN GUARDIAN. Now, since WE READ is a non-profit organization of UM, any profit gained by sales will be used to help the organization continue its work in these elementary schools.